After making his return to the ring in January 2016, following a three-and-a-half year break from fighting, Haye claims he has chosen to fight Tony Bellew due to public demand. The highly anticipated fight will take place tomorrow night in London. The pair have constantly bickered throughout the build-up to this awaited British showdown and it was a similar story as the fighters hit the scales during their final press conference. 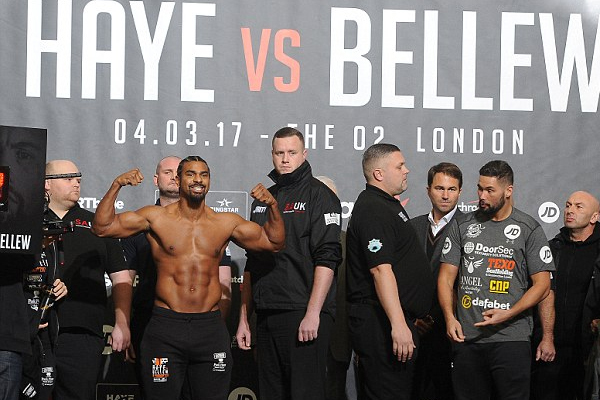 Tony Bellew came in at 15st 3lbs, while the former heavyweight champion of the world, David Haye, recorded the third heaviest weight of his career at just over 16st. Haye poked fun at his opponent’s pre-fight physique. “I’ve put on some good, healthy usable muscle. My diet is actually tighter now than it was at cruiserweight,” said Haye. “I thought he’d be lighter, I’m over the moon about his weight. He’s going to gas! “He’s an amazing athlete, he’s pleasing on the eye: I think I might fancy him! He’ll give it the same showboating and then I’m going to hit him back and he won’t be too happy about it. He’ll miss and he’ll get annoyed. 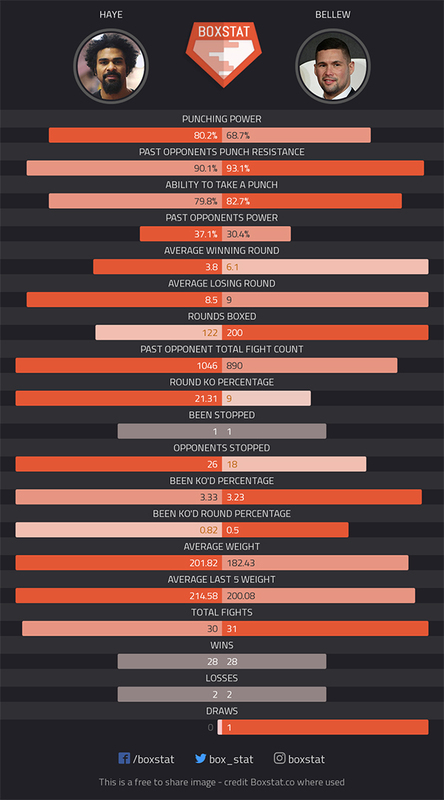 This is a must-see fight as two of the biggest personalities and punchers in world boxing collide. Tune in tomorrow night to see who comes out on top.